Wheelchair accessibility at Countrywide Cottages accommodation in the Otway Ranges Lorne. Countrywide Cottages Igloo cottage is a purpose built cottage for people of all mobility levels, specifically for independent wheelchair accessibility – finally a stylish and practical destination for disabled access accommodation. The Igloo offers wheelchair accessibility friendly accommodation featuring ramp access, widened doors, wheel in shower, quarter turn taps, rails in bathroom, washer and dryer and split air conditioning system for heating and cooling in conjunction with the cosy wood fire. Our wheel-under hot plates, bench and sink in the kitchen and sink in the laundry, make sure there is no excuse for anyone to get out of the chores! True wheelchair accessible accommodation Great Ocean Road! Bed raisers are available for use with hydraulic lifting devices, a self propelled shower/commode chair and bed sticks can be made available at a nominal fee by prior arrangement. 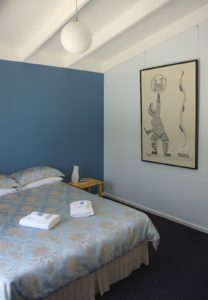 We have successfully accommodated many guests in wheelchairs, ranging from low to high level care in our wheelchair accessible accommodation Otway Ranges. 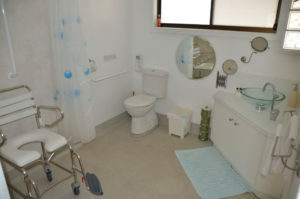 It is our pride to ensure that we are able to provide beautiful and easily accessible accommodation of such a high standard to people requiring wheelchair access. We often find that guests are booking the Igloo specifically because of their elderly dogs needs too! Considering getting into the water? • toilet height 440mm, 660mm front of bowl to back wall and center line of bowl to side wall 440mm. • gorgeous bush land views from bed! …because everyone deserves a stress free holiday full of happy memories…. There is a maxi taxi available in Winchelsea, a town just ten minutes drive from our property. The TrailRider is an all-terrain wheelchair that will allow for residents and visitors with physical and mobility issues to get out in the great outdoors and explore some of the Surf Coast’s most stunning parks and reserves. The one-wheeled chair is a cross between a wheelbarrow and a sedan chair. The wheel supports the rider’s weight while the handles at the front and back allow 2, 3 or 4 helpers (or sherpas) to guide the rider up and down tracks. The TrailRider can be booked free of charge from the Surf Coast Sport & Recreation Centre. Call 03 5261 4606 to check availability and booking. 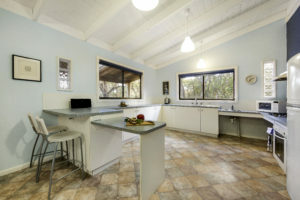 Contact Di at Countrywide Cottages on 03 5288 7399 – she is more than happy to help with any queries you may have about our Otways and Lorne wheelchair accessible accommodation.